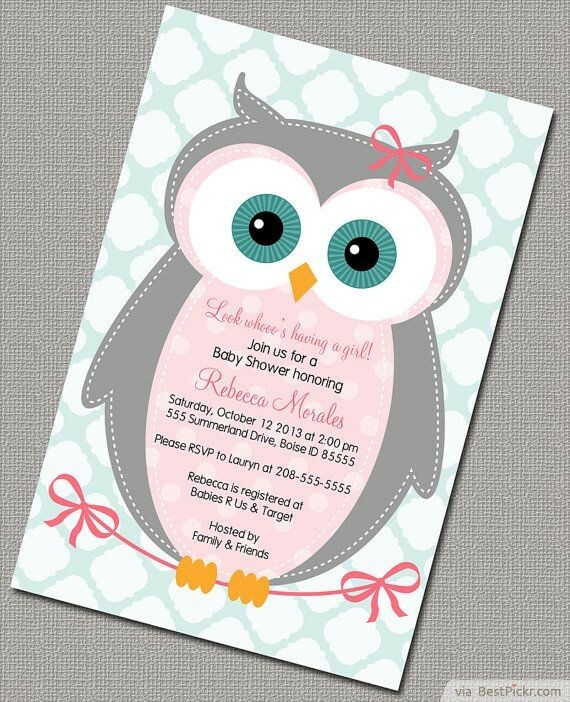 Soft light pink and grey adorable girly owl illustration with big beautiful emerald eyes, thin ribbons and white aqua Morrocan print pattern background, suitable for newborns. Very simple, yet lovely printable card for your first baby celebration. Also comes is boys color in cold blue hues.